Sandwiched between the Pacific and the Andes, the incredible landscape of Chile’s Atacama Desert is like no place on earth. Contributor Patagonia Fixer created a memorable aerial video of this amazing arid zone, with its jagged, rust-colored ravines, white salt flats, and volcano-topped horizons. The desert is closely studied by scientists as it is considered to be the "truest" desert in the world. It is considered to be part of the broader Andes Mountains Sytem of western South America. Description: Sandwiched between the Pacific and the Andes, the incredible landscape of Chile’s remote Atacama Desert is like no place on earth. With its jagged, rust-colored ravines, vast, rocky, white salt pan and volcano-topped horizons, you would be forgiven for drawing comparisons with places beyond our atmosphere. We are panoramicam Drone aerial , a Chilean company we specialize in drone aerial photography & aerial video. 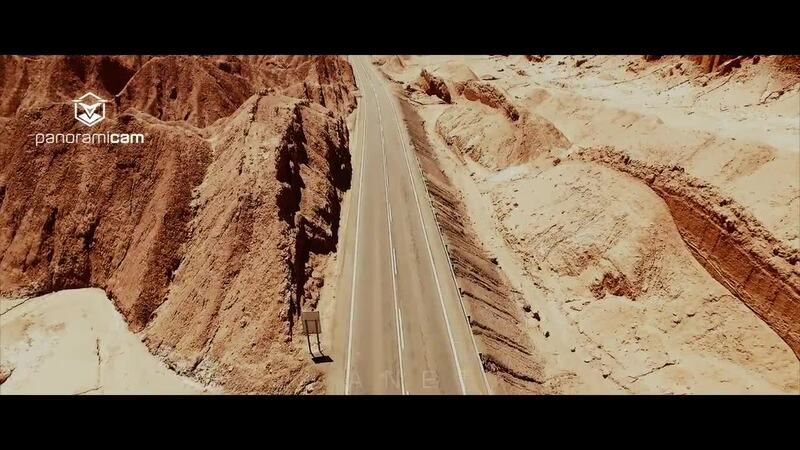 Santago de Chile based we fly drones capture amazing close range aerial photography and video via UAV (unmanned aerial vehicle) with up to amazing 4k quality. We can provide HD Aerial Footage for Feature Films, Television, Independent Films, Commercials, Documentaries, Real Estate Aerial Photography, Aerial Inspection, Development, Construction & more. For detailed information about our drones please mail us contacto@panoramicam.cl . Also for more samples of our work please visit our aerial media gallery.